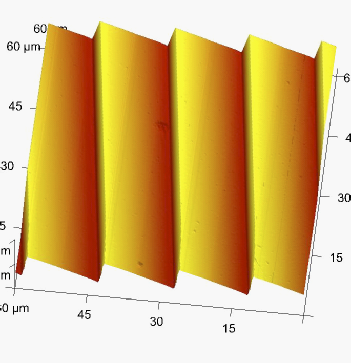 will be used to assist and evaluate the design of the MICADO spectrograph optics. MICADO is one of the first light instruments for the Extremely Large Telescope (ELT) . spectrometer that will be used in support of an environmental monitoring mission. 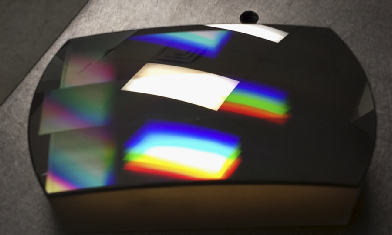 grisms to Alrad Photonics UK for the Enhanced Resolution Imager and Spectrograph (ERIS). Camera system (NIX). The ERIS instrument will be installed on the 8-Meter VLT UT4. Observatory, The Max Plank institute developed the cryogenic instrument which is mounted at the Cassegrain Focus of the 8-Meter VLT UT4. 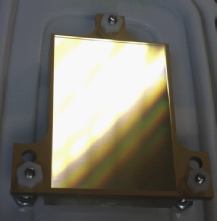 Bach Research is pleased to announce it has manufactured and delivered multi-partite blazed diffraction gratings to the US Naval Research Laboratory.The gratings will fly aboard the Ultraviolet Spectro-Coronagraph (UVSC) Pathfinder instrument. UVSC is designed to make the first detection of suprathermal seed particles close the Sun by observing the shape of the hydrogen Lyman alpha line at 1216Aº. UVSC is a Joint NRL-NASA solar physics experiment hosted by the DoD Space Test Program. It is supported by funds from the Chief of Naval Research and from NASA. Bach Research Corporation is pleased to announce that it has been awarded a contract by the NIRPS consortium, represented by the Institute for research on Exoplanets (iREx) from Université de Montréal and the Observatoire de Genève from Université de Genève to manufacture and deliver a custom R4 echelle grating and spares that will be used in the NIRPS (Near Infrared Planet Searcher) Instrument. The R4 echelle grating is 90x320mm with a blaze angle of 76o. NIRPs is a high resolution near infrared, fiber fed and cross dispersed echelle spectrograph designed for accurate radial-velocity (RV) measurements. NIRPS will be installed on the 3.6M ESO telescope located at La Silla. The Institute for research on exoplanets (iREx) from Université de Montréal brings together top researchers and their students so as to benefit as much as possible from major current and upcoming observation projects, with the ultimate goal of finding life elsewhere. The Institute is devoted to exploring new worlds and seeking life on other planets. The Geneva Observatory is located on the site of Sauverny, near Geneva. As the Astronomy Department of the University of Geneva it constitutes the main research centre for astrophysics in Switzerland. ESO, the European Southern Observatory, is the foremost intergovernmental astronomy organisation in Europe and the world's most productive astronomical observatory. ESO provides state-of-the-art research facilities to astronomers and is supported by Austria, Belgium, Brazil, the Czech Republic, Denmark, Finland, France, Germany, Italy, the Netherlands, Poland, Portugal, Spain, Sweden, Switzerland and the United Kingdom, along with the host state of Chile. Voyager spacecraft, Bach Research Corporation is a manufacturer of custom diffraction gratings and optical components for OEM, Aerospace Research, Defense, Astronomy and Space flight Instrumentation. BOULDER, Colo., February 20, 2015 – Bach Research Corporation has been awarded a contract from Ball Aerospace & Technologies Corp. to manufacture and deliver custom diffraction gratings and spares that will fly aboard two pollution monitoring missions. “This builds on our 40-year relationship with Ball Aerospace and we couldn’t be more pleased with Ball’s continued confidence in Bach Research’s ability to supply critical components to support Ball’s space flight instrumentation,” said Bernie Bach, operations manager at Bach Research. The components are being built for the Geostationary Environment Monitoring Spectrometer (GEMS) instrument for the Korea Aerospace Research Institute; and the Tropospheric Emissions: Monitoring of Pollution (TEMPO) instrument, a NASA Earth Venture mission. Both instruments are being built and designed by Ball Aerospace. With over fifty years of optical experience dating back to Apollo Skylab and Voyager spacecraft, Bach Research Corp is a manufacturer of custom optical components and diffraction gratings for OEM, Aerospace Research, Astronomy and Spaceflight Instrumentation. Ball Aerospace & Technologies Corp. supports critical missions for national agencies such as the Department of Defense, NASA, NOAA and other U.S. government and commercial entities. The company develops and manufactures spacecraft, advanced instruments and sensors, components, data exploitation systems and RF solutions for strategic, tactical and scientific applications. 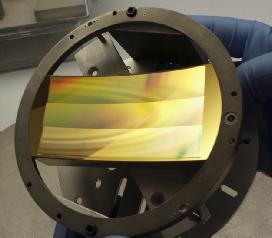 Bach Research is pleased to announce the delivery of spaceflight diffraction gratings and optics for two instruments that will fly aboard the NASA ICON Spacecraft. Under a contract with Praxis Inc, Bach delivered multiple sets of gratings and spares to be incorporated into the MIGHTI instrument which is built at the Naval Research Laboratory. 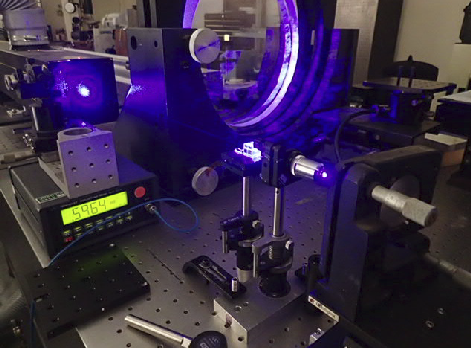 Under a contract with UC Berkeley Space Science Laboratories, Bach Research also delivered custom UV Optics for the FUV instrument aboard ICON. About ICON:The Ionospheric Connection Explorer, or ICON mission, is under development by NASA for flight in 2017. ICON will explore a swath of Earth's atmosphere where the weather close to the ground impacts the dynamic space environment above in unexpected ways.To study the connection between these space weather disturbances and Earth's weather, ICON will measure how motions in the lower atmosphere are transmitted into space. The lowest layer of the atmosphere -- the one we live in and where we experience weather -- is the troposphere. Above that is the stratosphere, the mesosphere, and the thermosphere. All of these are layers of the atmosphere made of neutral gas, which can move in reaction to the weather closest to Earth. ICON will fly with four instruments. 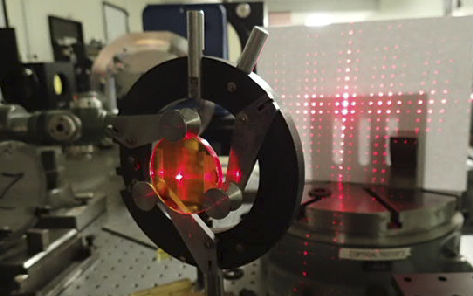 The Michelson Interferometer for Global High-Resolution Thermospheric Imaging, or MIGHTI, will observe the temperature and speed of the neutral particles. The Ion Velocity Meter will observe the speed of the charged particle motions, which may be very different from the neutral gas. 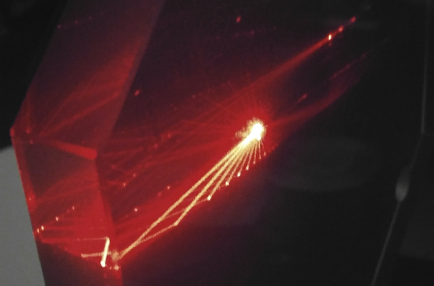 Measurements of the particle density and composition are made by two spectrographic imagers: one, EUV, gathering extreme ultraviolet light, the other, FUV, gathering far ultraviolet light. These will be able to spot light emitted or scattered from particles in the thermosphere and ionosphere, which can then be translated into understanding just how many neutral and ionized particles are present, as well as what types of particles are predominant under different conditions. Research has a proven spaceflight heritage of supplying one of a kind optical hardware flying aboard The Voyager Spacecraft to the James Webb Space Telescope. Venus Express, the first European Space Agency (ESA) mission to Venus was launched Thursday November 10th at 03:33 GMT from the Baikonur cosmodrome in Kazakhstan. Aboard the spacecraft is a custom optic: an echelle grating, manufactured by a local Boulder company, Bach Research Corp. Bach Research delivered two gratings in Sept 2004 for the ESA mission. The echelles represent an advance in grating technology since they were machined, not classically ruled. The echelle grating is an integral part of the Solar Occultation at Infrared (SOIR) instrument aboard the spacecraft. It will allow scientists to analyze Venus’s atmosphere by observing the sun through the planetÂ’s atmosphere. The instrument represents a new concept for compact instruments (3-5 kg) doing high-resolution near-IR spectrometry and scientists believe it could potentially be used for studying gases, such as CO2, in the Earth’s atmosphere, as well as monitoring sources of pollution, such as industrial activity and power generation. This new compact instrument is being considered as a building block in a ground network for CO2 monitoring in Europe. Bach Research Corp announced that they have hired Bernhard W. Bach of the independent consulting firm Bernhard W. Bach & Associates as lead consultant for the company. 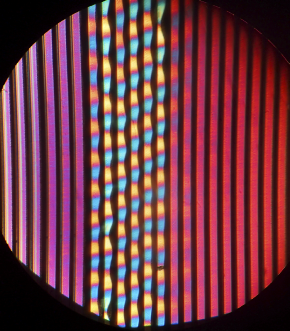 Bernhard W. Bach has more than forty years experience in the manufacturing of diffraction gratings, optical testing and design. Mr. Bach and his wife Johanna, ran their own grating manufacturing company for 32 years prior to retiring in June 2001 and starting the consulting firm. During his career, Bernhard Bach has ruled more than 2,000 individual Master gratings for researchers and industries around the globe. "We are thrilled to have Bernie working with our staff. The wealth of knowledge and depth of experience he brings to the organization is second to none. ", Says Erich Bach, President of Bach Research Corp.
Bach Research announced the addition of three ruling engines to their existing ruled and holographic grating laboratories. This addition brings the total number of ruling engines to four two engines for high-line density gratings and two specifically geared for echelle gratings. "The acquisition of these engines enhances our capability to continue to provide the outstanding services to the photonics community, and is in line with Bach Research's strategic plan for long term growth", said Kirk Bach, Vice President and Director of the Ruling Lab. All four ruling engines are interferometrically controlled and already have a proven track record within the industry. 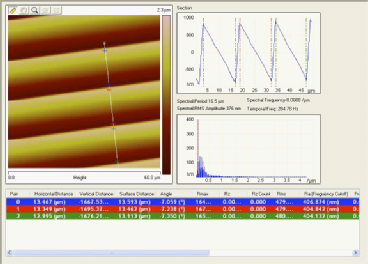 Bach Research is able to rule gratings as large as 300mm x 450mm on both plano and non-plano surfaces. In related news, Bach Research has also added it's second diamond turning center and a fourth high vacuum coating chamber to keep in step with demand for services.